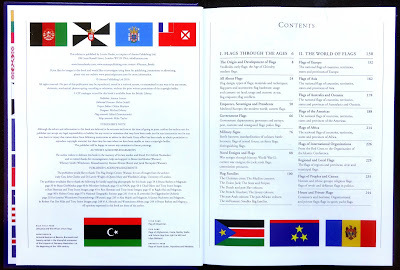 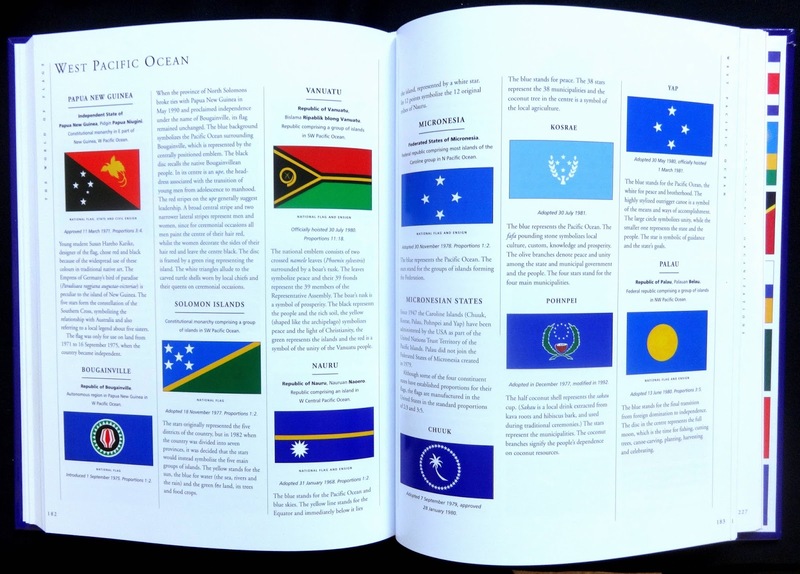 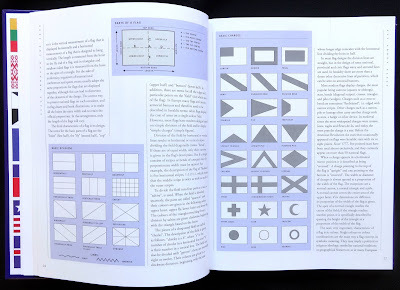 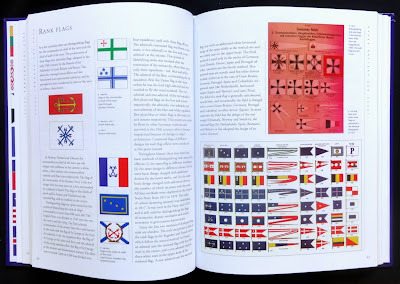 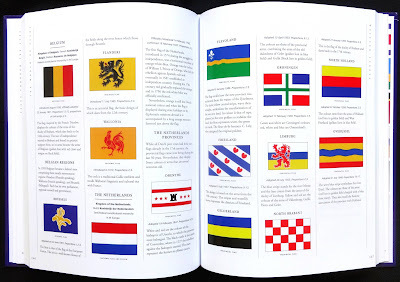 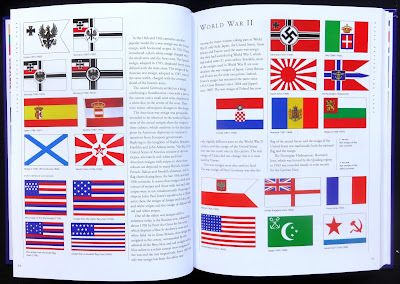 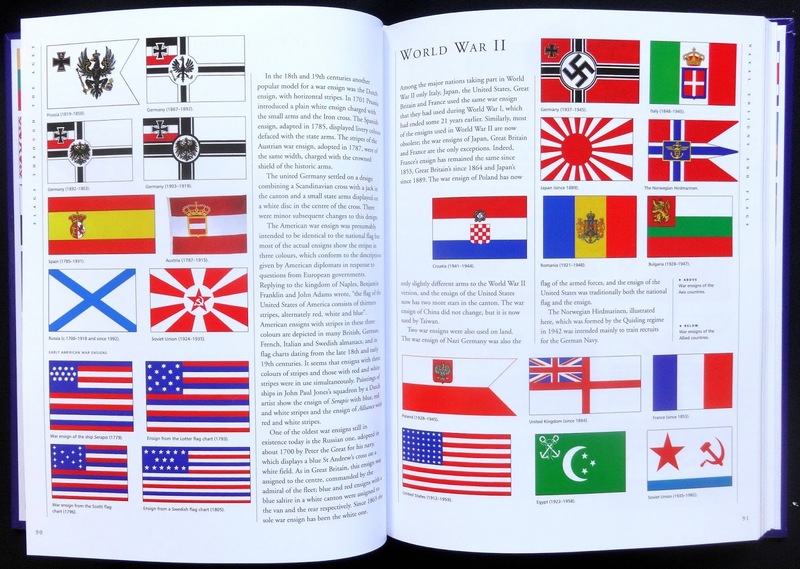 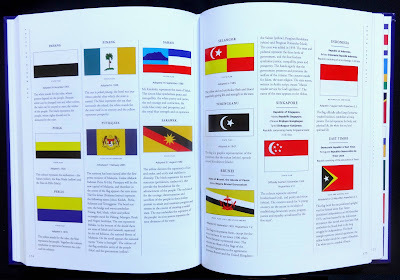 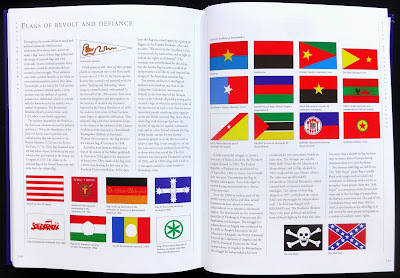 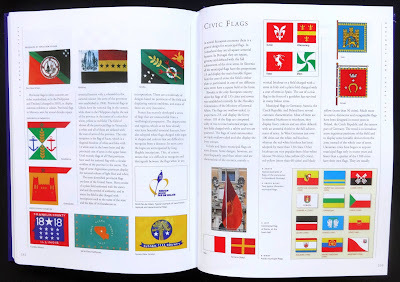 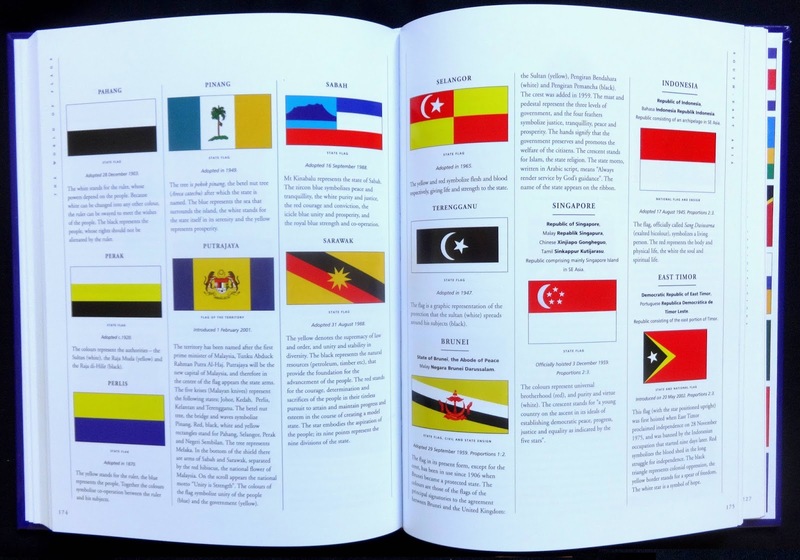 Alfred Znamierowski seems to have cornered the market in informative flag books and this latest version of his encyclopedia is an excellent buy. I originally bought Brian Johnson Barker's Complete guide to flags of the world and though it's good and up to date I didn't think the thick paper and the perfect binding on the paperback edition would last too long with regular usage. 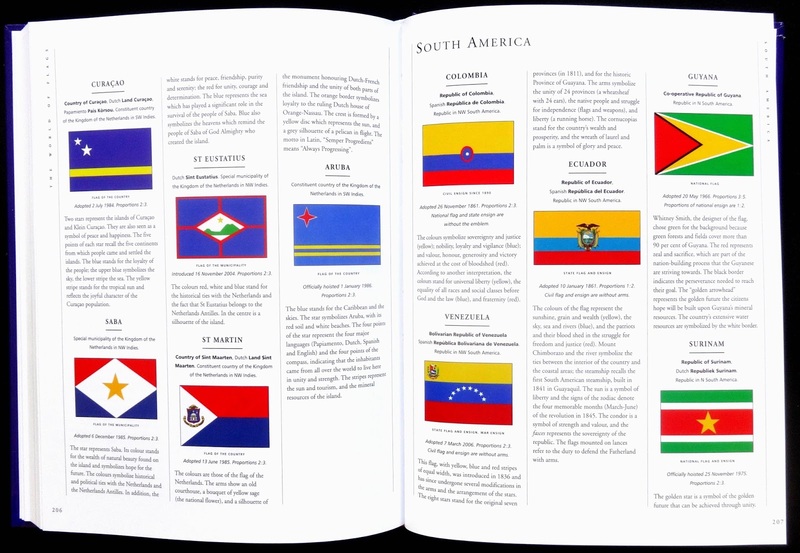 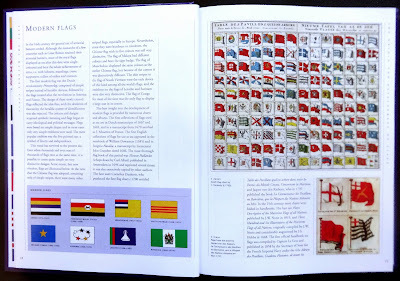 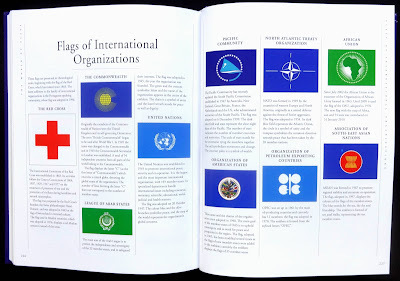 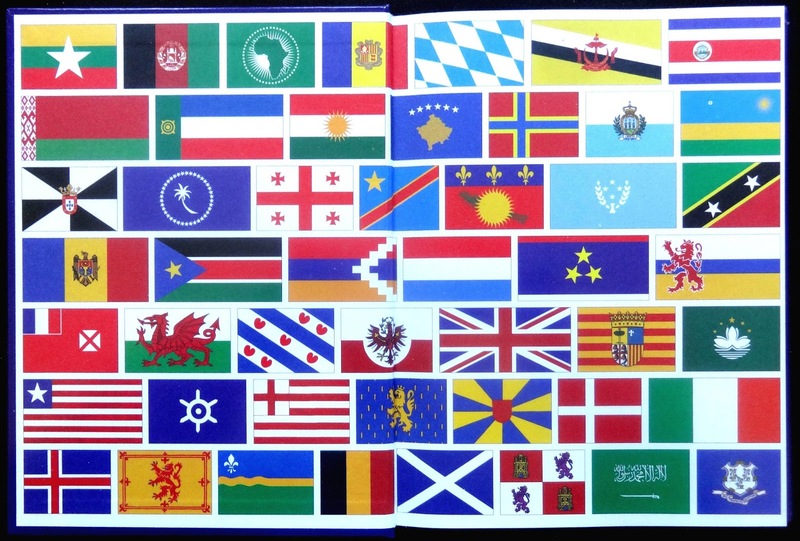 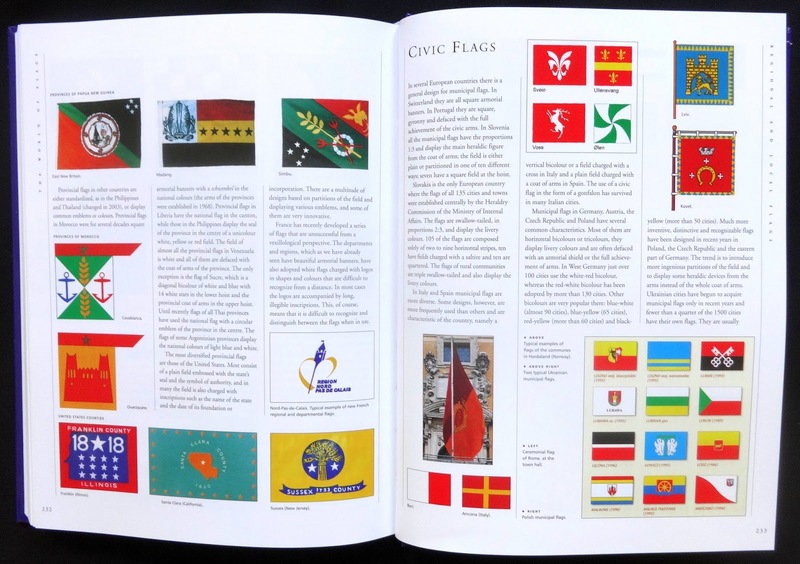 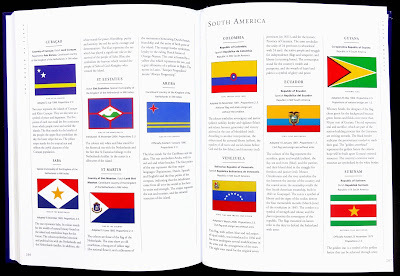 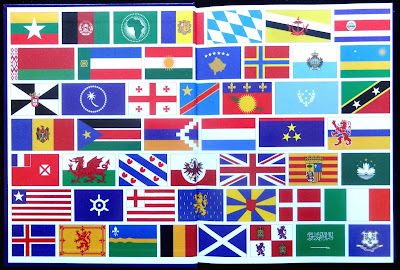 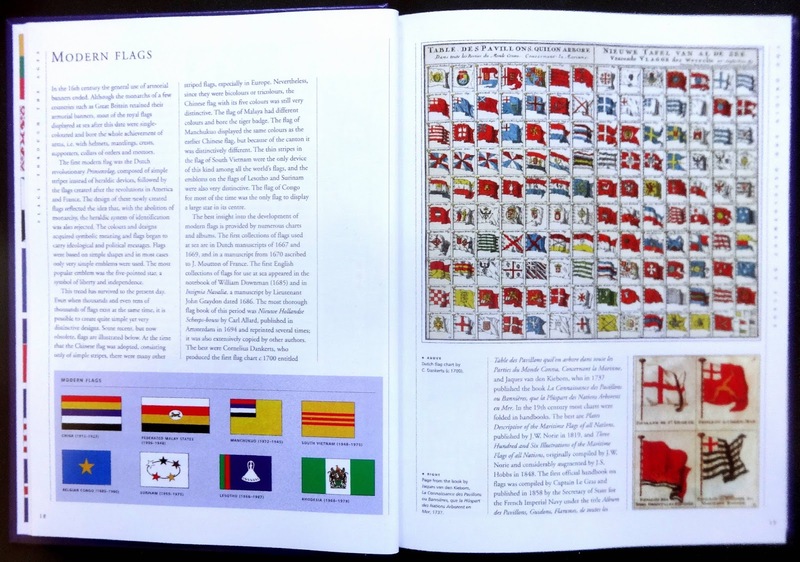 For more or less the same money as the Johnson Barker book this World encyclopedia of flags is vastly superior. 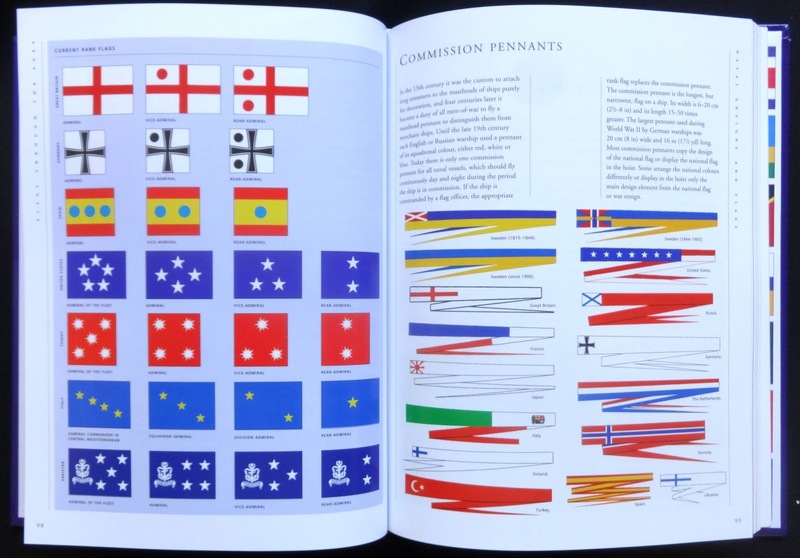 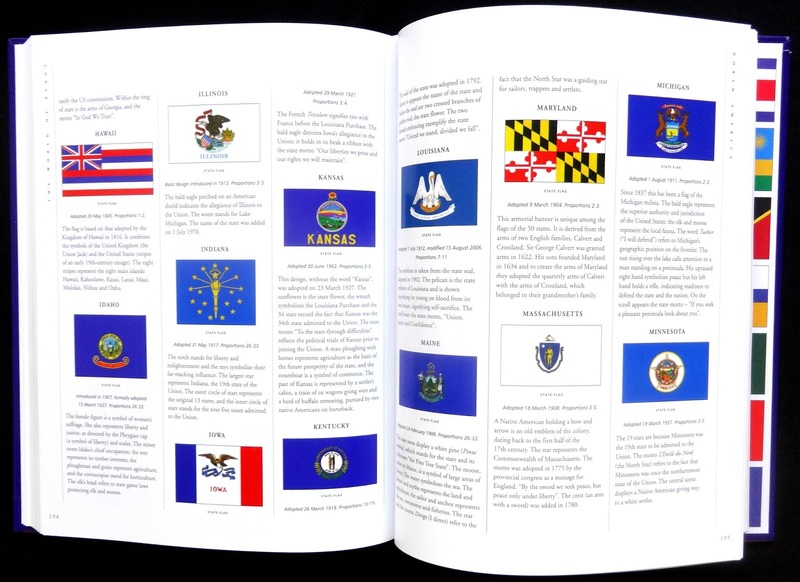 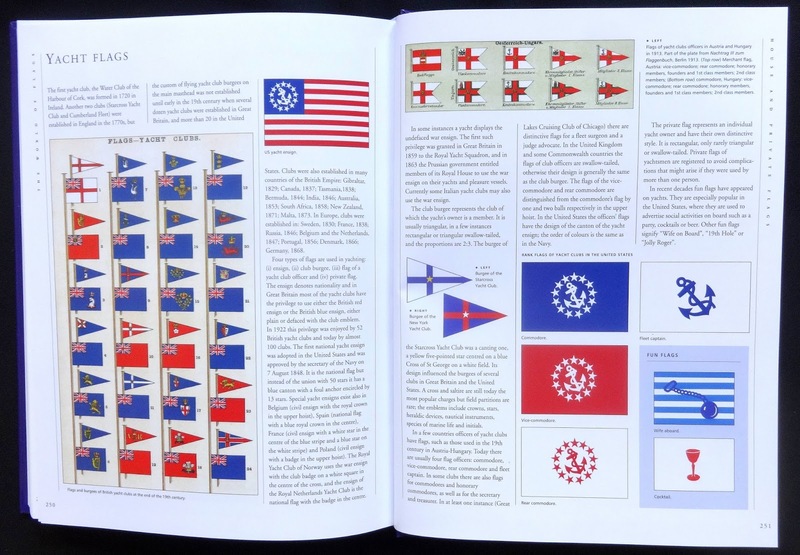 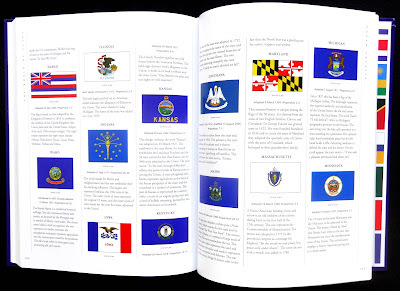 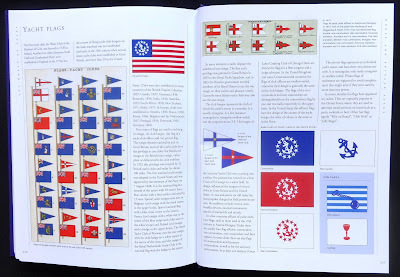 The 256 pages are split into two sections, the first looks at flags (and pennants) historically, flag design, usage, government, military and naval flags et cetera. 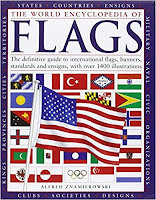 The second part details flags of the world and frequently breaks these down to flags of country regions. Each gets some detail about the origins and meanings of the flag's graphic elements. 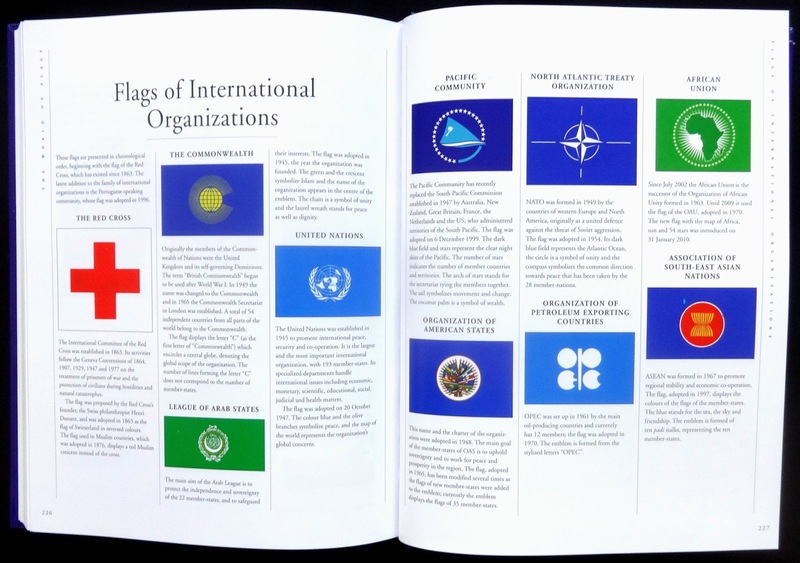 There are some interesting pages at the back with flags from international organisations, regional and local flags, peoples and causes like Arapaho indians, Irish-American, Sami people of northern Finland. 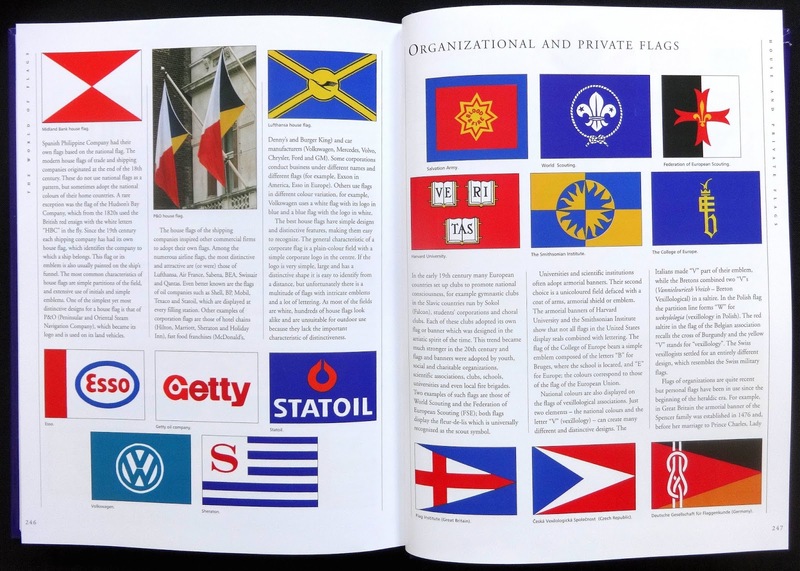 A nice touch, I thought, were the three pages devoted to house flags like Getty Oil or Sheraton hotels and the very last pages before the Index a look at yacht flags. 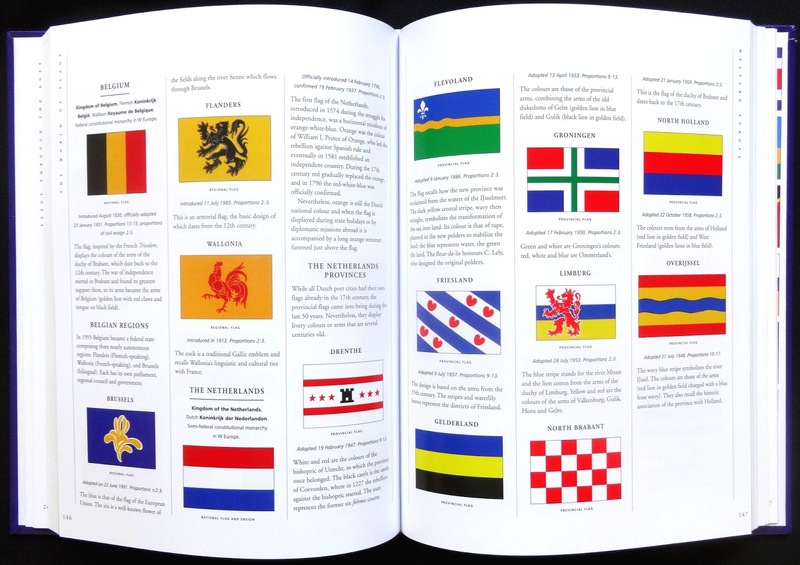 The six hundred flags in the book are shown on well designed pages and obviously all in color. Some readers might find the caption type a bit small but other than that a remarkably comprehensive look at what's at the top of the flagpole, past and present. 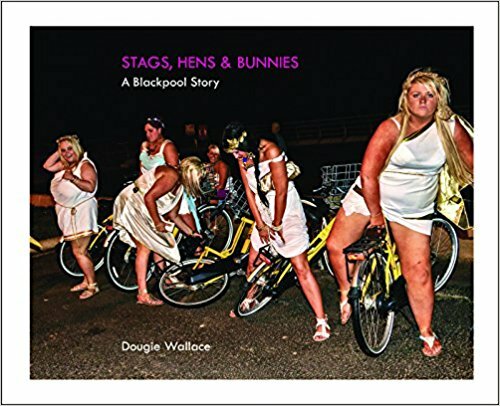 There's certainly a photo story here of folk going to Blackpool to enjoy themselves under any circumstances and many of Wallace's photos capture this vulgar abandonement. 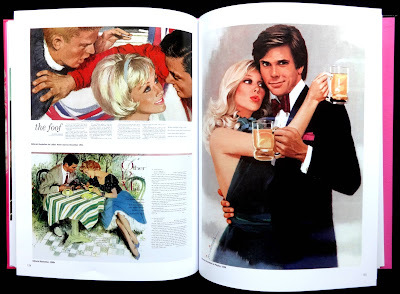 Unfortunately so many of the seventy-two pictures in the book do this in a rather sloppy way with their badly cropped heads, tilting backgrounds and a lack of focal interest to pull the eye into the frame, making them not much better than snaps anyone could have taken. 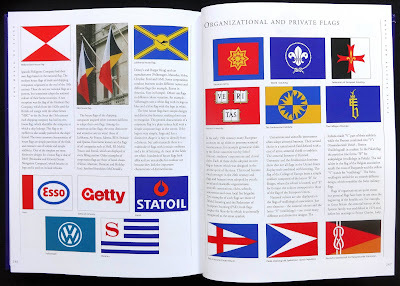 There are plenty that are not worth a second look either. 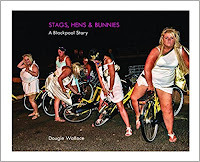 There is a story here but I didn't think Wallace really captures it with his images. 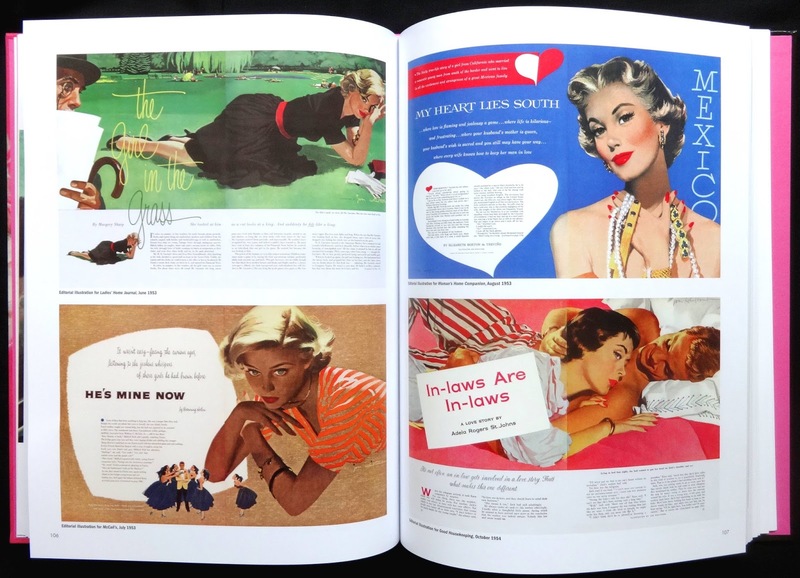 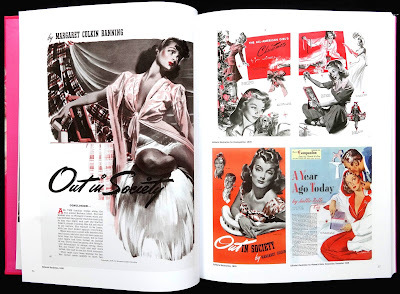 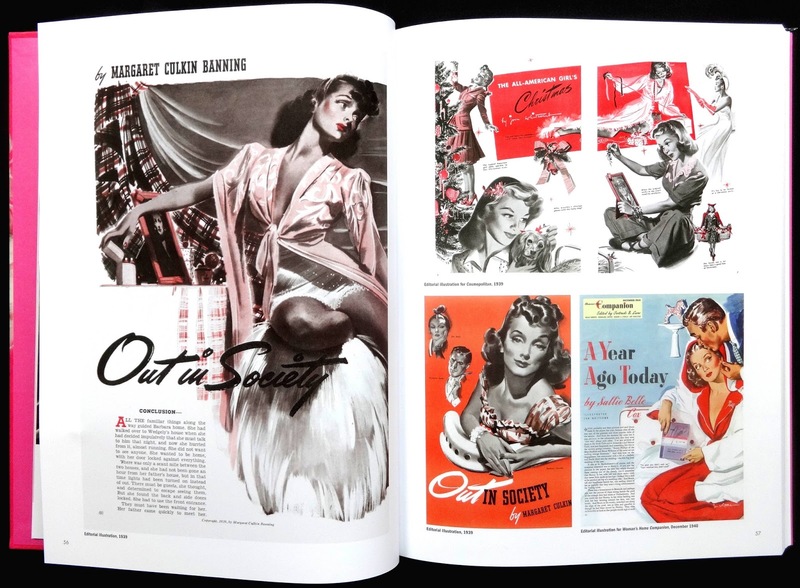 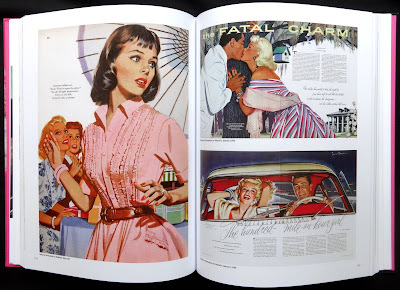 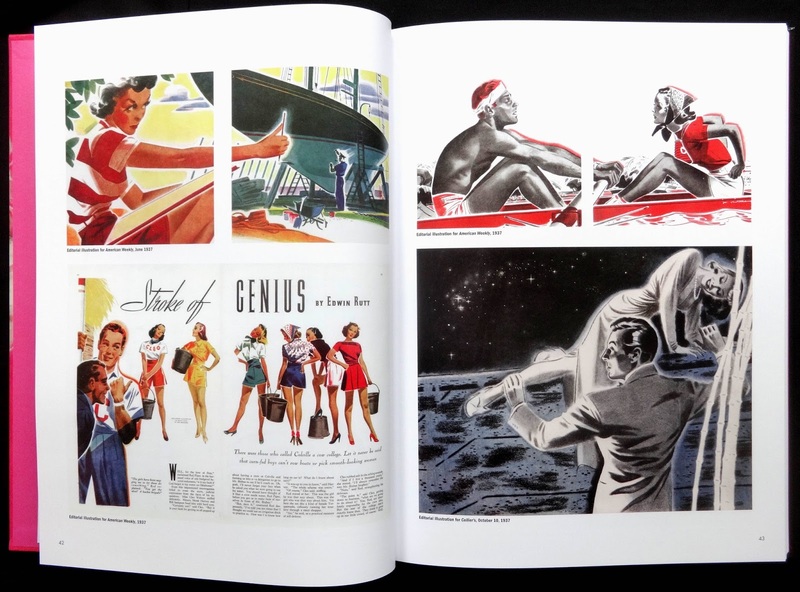 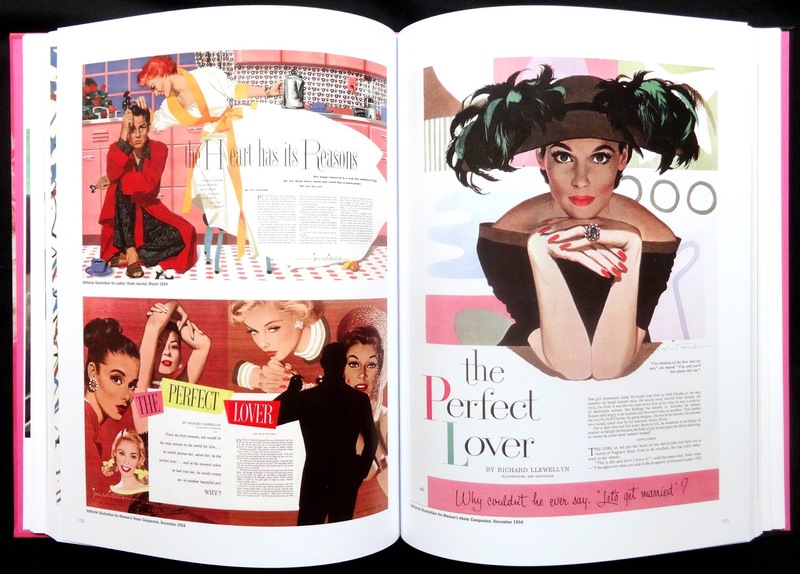 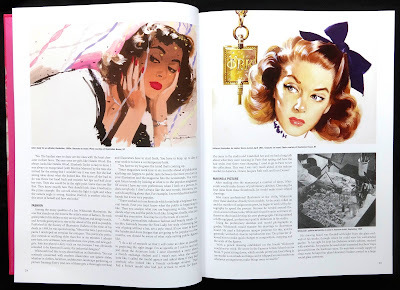 Regular readers of ladies consumer magazines of forties, fifties and sixties will be familiar with the art of Jon Whitcomb, either through his paintings for their editorial pages or the ads. 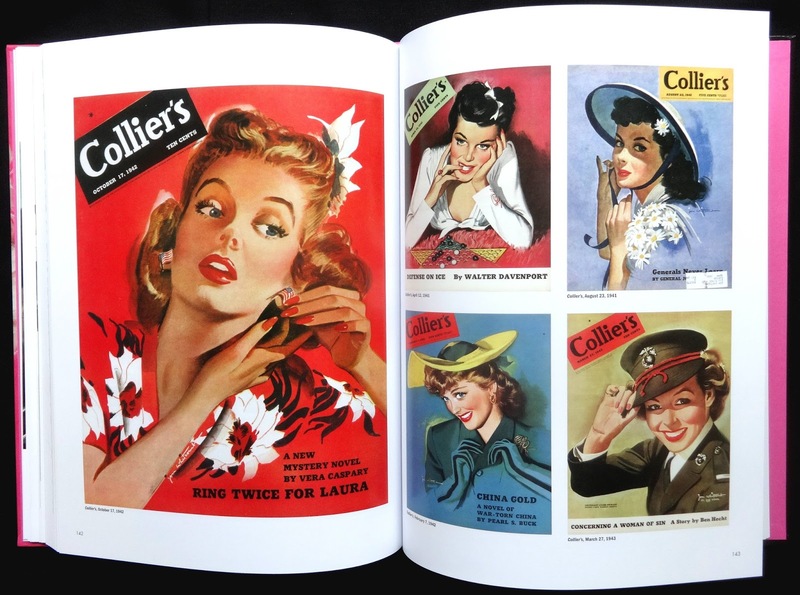 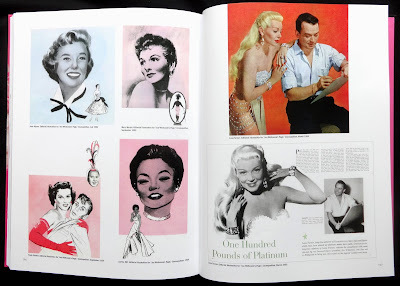 His forte was the female face and the book has page after page of spreads from Collier's, McCall's, Ladies Home Journal, Redbook and especially Cosmopolitan where he illustrated romantic fiction with a large female face or partial figure and a man always involved. 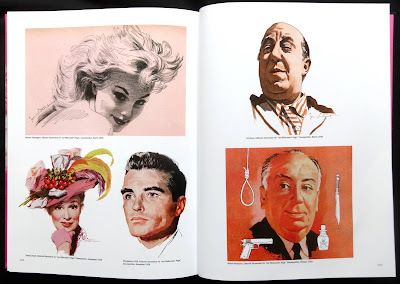 To a certain extent he seems to have been type-cast for this role, the paintings were that good. 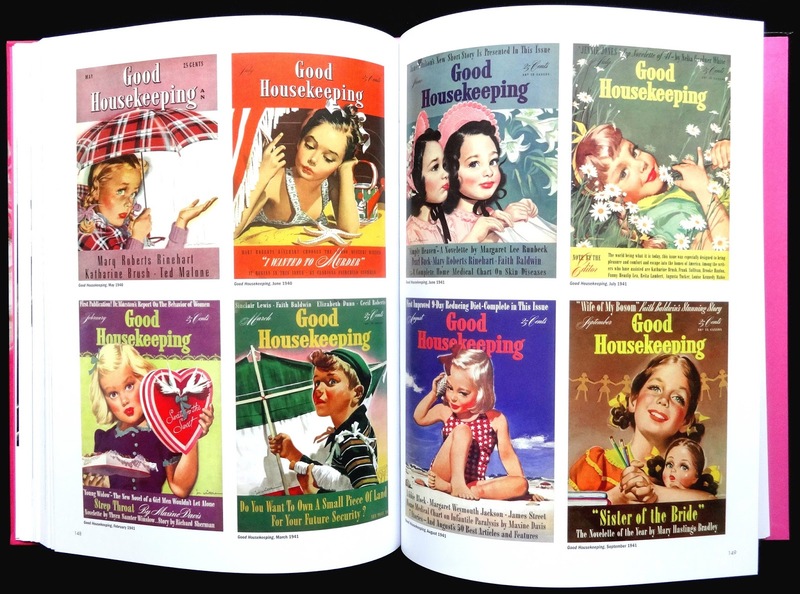 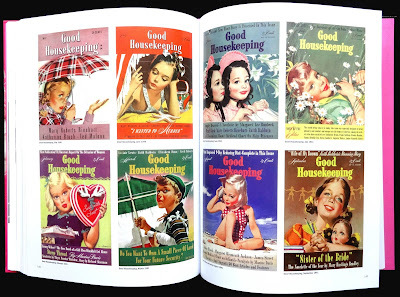 Not just ladies' faces but children too, pages 146--151 has eighteen covers he did for Good Housekeeping in 1940 and '41. Later pages have eighteen Cosmopolitan covers some of which are portraits of movie stars. 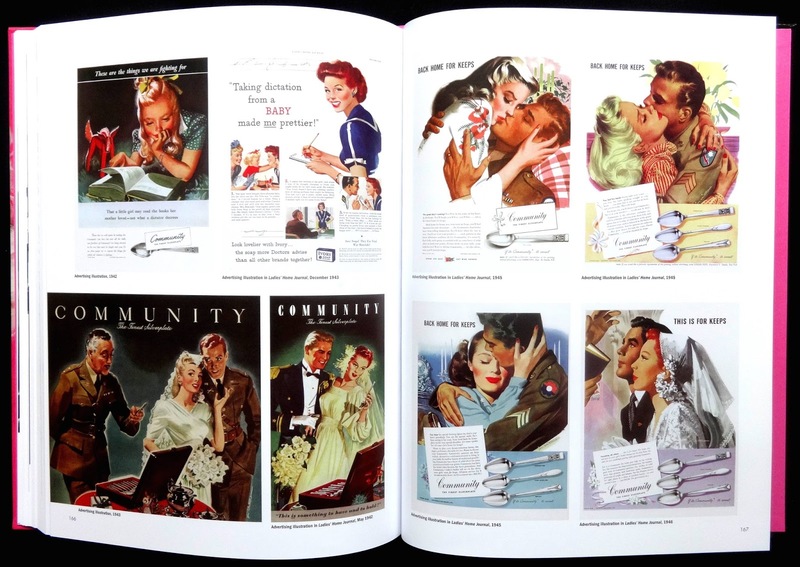 Whitcomb was obviously in demand by ad agency Art Directors to use his face technique for selling, in particular Community Plate used the art for years to sell their cutlery (eighteen ads are shown). 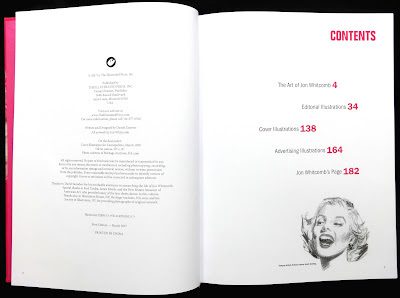 The book reveals his life with a thirty page illustrated essay followed by work examples. 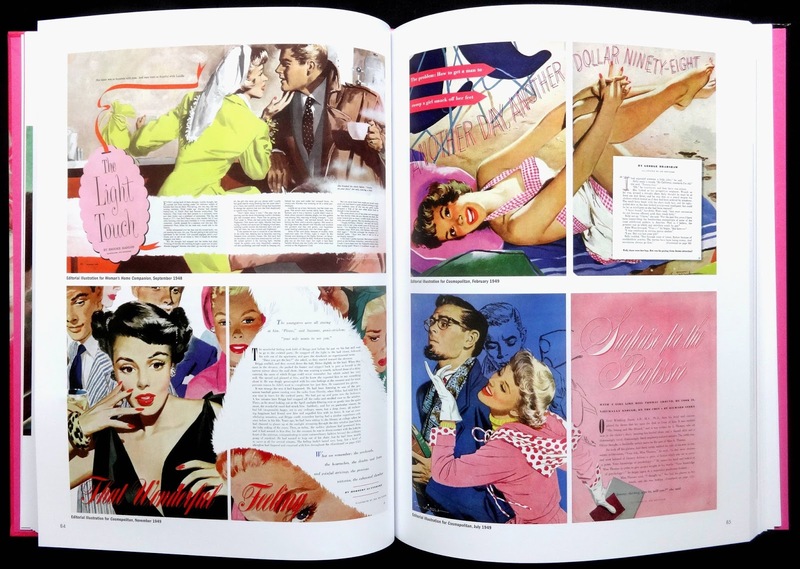 It's the magazine fiction spreads that I liked best, if only there were more. 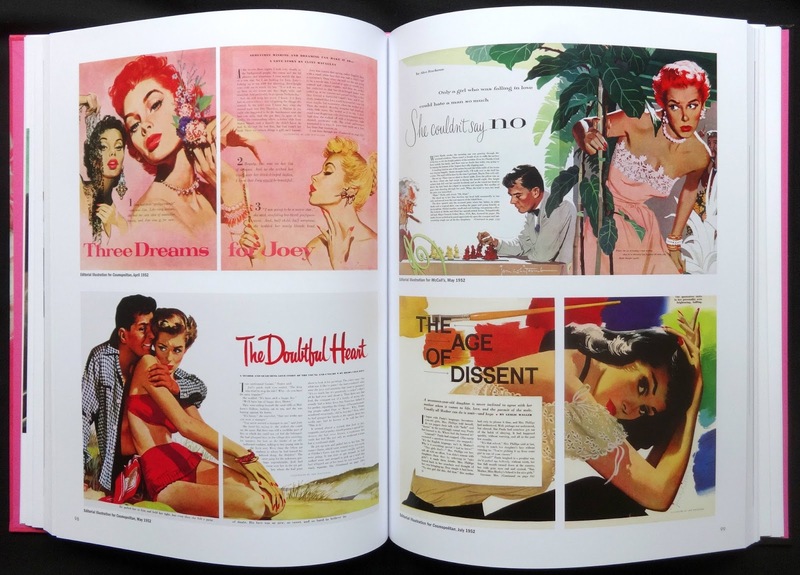 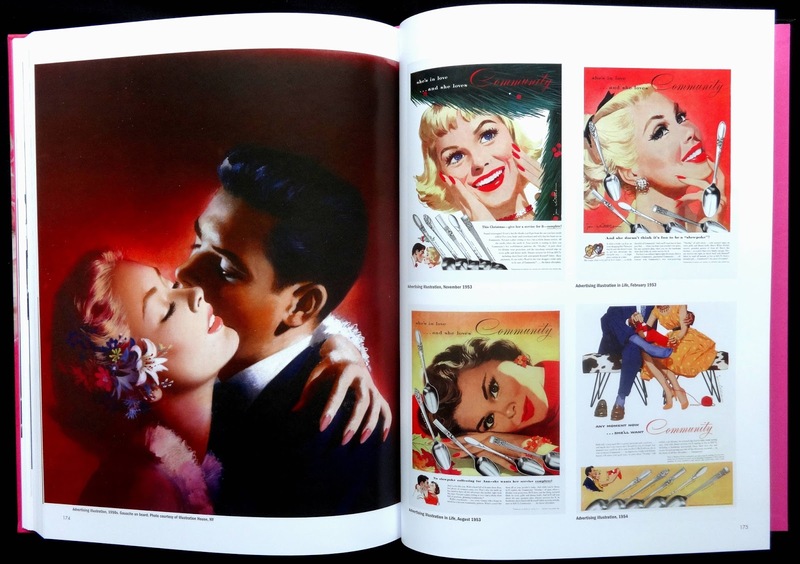 I thought the weakest pages were the forty-two titled 'Jon Whitcomb's Page' from Cosmopolitan during the fifties. 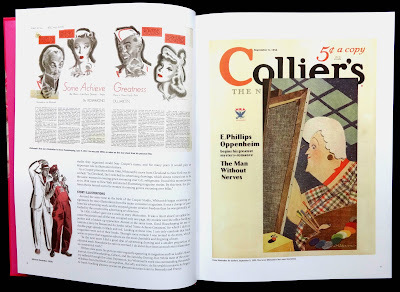 Such was his fame that the magazine gave him a page in each issue to illustrate how he liked, the art here is much more casual than the tight compositions used in the fiction or ad illustrations. 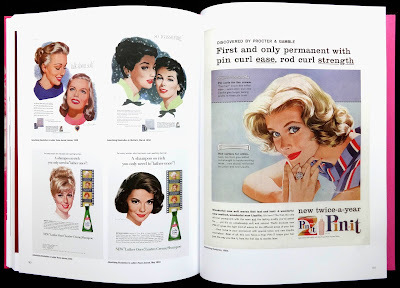 Overall an excellent book about this well known commercial illustrator, I doubt there will be a better one though I have a couple of comments about the production. The binding is too tight so that the book really doesn't open flat and the pages sort of close themselves if the book is left open, Auad Publishing with illustrator titles on Al Parker or Albert Dorne have much more user friendly binding. 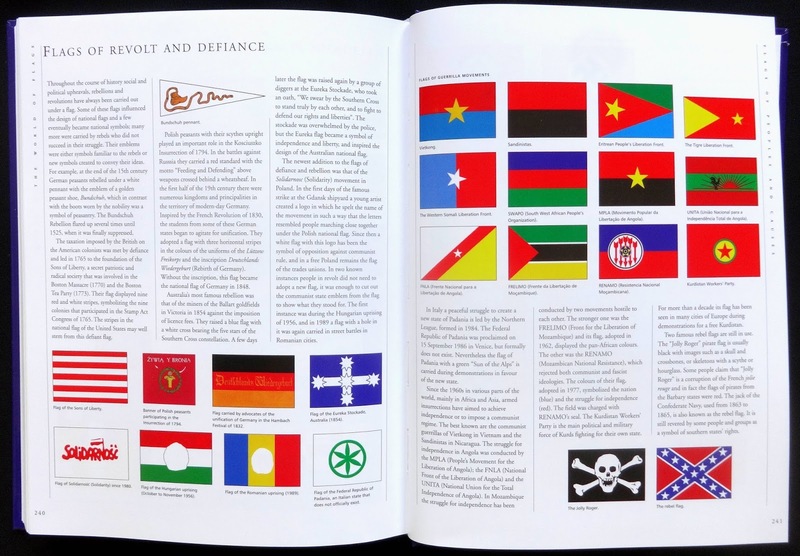 Lots of the reproduced editorial spreads exist as two pages with a quite noticeable white gap between each page, they should have been butted together to make an acceptable spread, a quick bit of Photoshop would have solved this.